Wild swimming is all about having fun and regardless of distance, ability and age there is almost always something to suit just about everyone. With mild year-round temperatures and some of the best bathing waters in the UK, there are many wonderful wild swimming spots in South Devon to explore along rivers, estuaries and coastline. Whether you’re looking for a quick dip, a gentle paddle or an arduous swim, wild swimming enthusiasts will find plenty of opportunities to make a splash in South Devon. We encourage you to immerse yourself into nature, release your inner wild, and jump in! * Warning: We cannot be responsible for wild swimming locations and these are only suggestions. For more information on wild swimming safety read the Outdoor Swimming Society safe wild swimming tips before setting out. 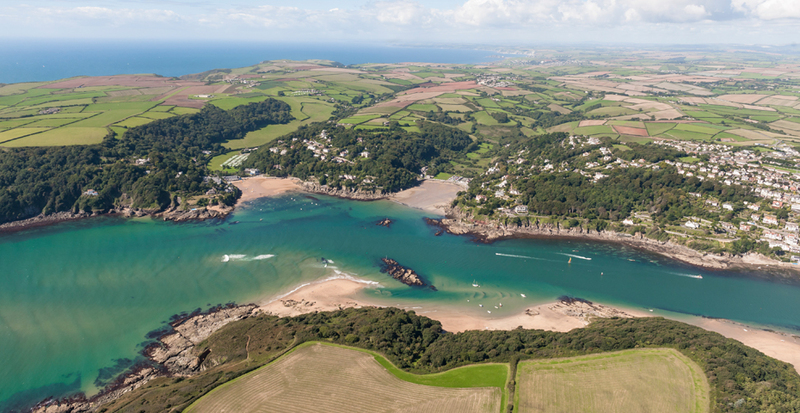 Peppered with secluded coves and sandy beaches, Salcombe is a sea swimmers heaven. North Sands has crystal clear waters, and being safe and shallow, it’s a great spot to swim 200-yard widths and build up your stamina. If you’re feeling a little more daring, head to The Hipples by crossing on the ferry from Salcombe to East Portlemouth, and walk south. During a low spring tide you will come across a sandbar from which you can swim up to Mill Bay and then back to East Portlemouth. The small waves on the sandbar make for fun wave-jumping and body boarding so be sure to factor in a little time to play! For a gentle swim, head to South Milton Sands. Try to time your swim for high tide and paddle out to the iconic Thurlestone Rock, swimming underneath the arch (make sure you have a snorkel as the underwater view is simply amazing!). To top it off, this beautiful sandy beach is backed by the ever popular beachside restaurant ‘Beachouse’ which is a prime spot to enjoy a post swim sundowner. 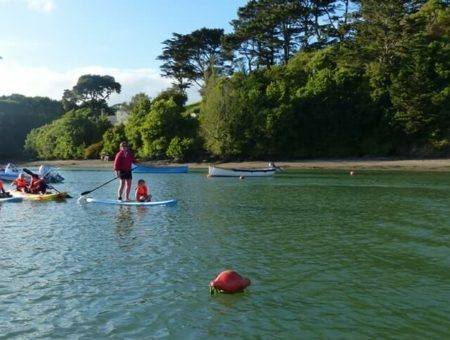 Starting from the picturesque village of Aveton Gifford, this estuary swim allows for a gentle 2.5 mile swim seawards towards Bantham Beach. Unlike many estuaries which are often muddied with poor visibility, The Avon has clear waters and a sandy riverbed allowing for perfect clarity. Beneath the surface you will be dazzled by an underwater world of oyster beds, fish, seaweed and Amazon-eske tree roots! Starting at the carpark in Aveton Gifford, try to time your swim for about twenty minutes post high tide so that you can enjoy the assistance of the outgoing tide. How long the swim takes will depend entirely on how you decide to travel; your journey is likely to be interspersed by scenic swimming, floating, the occasional somersault and perhaps a picnic. This is the perfect swim for ‘going with the flow’, quite literally! This river swim remains a relatively quiet spot and is perfect for those wanting to undertake a decent swim in non-tidal waters. With regards to getting in the water, the best entry point is down the footpath between Staverton railway station and The Old Mill. About 350m down this path you will find yourself opposite the weir, where there is a good entry point down the sleeper built bank. Alternatively, follow the path downstream for a further twenty minutes and you will come across an exhilarating jump on a corner bend into the dark, peaty waters below! Because of the weir, you can swim around 350m without touching the bottom, even in the summer season. Enthusiasts report a great sense of place swimming between open sea and the town, especially around the base of the Dartmouth castle. You will find a lovely little beach called Sugary Cove just around the corner from the castle which is a fantastic swimming spot, androcks to swim through on the far left hand side. Sugary Cove bay is sheltered and ideal if you have children with you and there is a good chance of spotting a seal or two as they love lounging on the rocks and diving into the water. 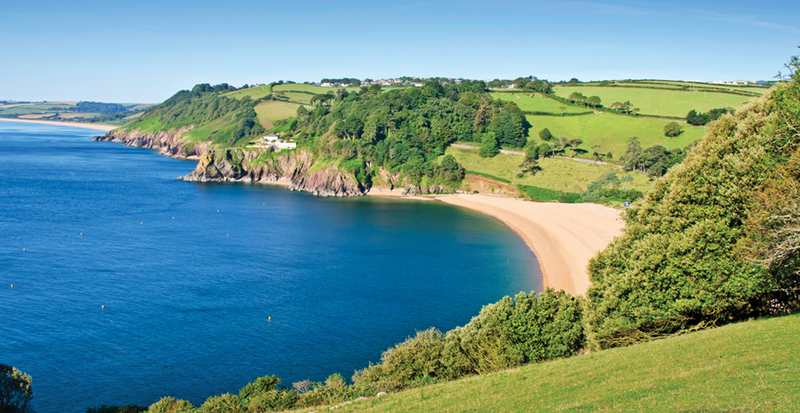 Blackpool Sands, a Blue Flag awarded beach, is a popular swimming spot in South Devon. It’s a beautiful beach, and boasts many luxuries like the Venus Café (serving local food all year round! ), toilets and even free outdoor showers which make it ideal for bathers and serious swimmers. Although you often have to contend with quite heavy surf getting in and out of the water, once beyond this you can swim to your heart’s content and even do lengths of the cove if you want to build up fitness. Swimming across Salcombe estuary can be dangerous at times, but once a year during the Salcombe Regatta, special safety measures are put in place for the Harbour Swim. This swim is from Small’s Cove to Bakerswell every August and is very popular with both participants and spectators! 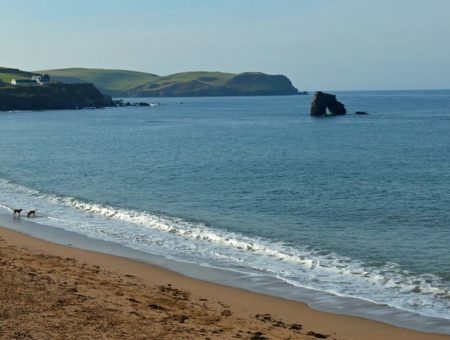 The Burgh Island Swim is regarded one of the most spectacular island swims in the UK, where you can expect to enjoy spectacular 360 degree views. The water can be a little choppy at times, so this swim is suitable for those who can clock up at least a mile in the swimming pool, and who also have experience of open water swimming. 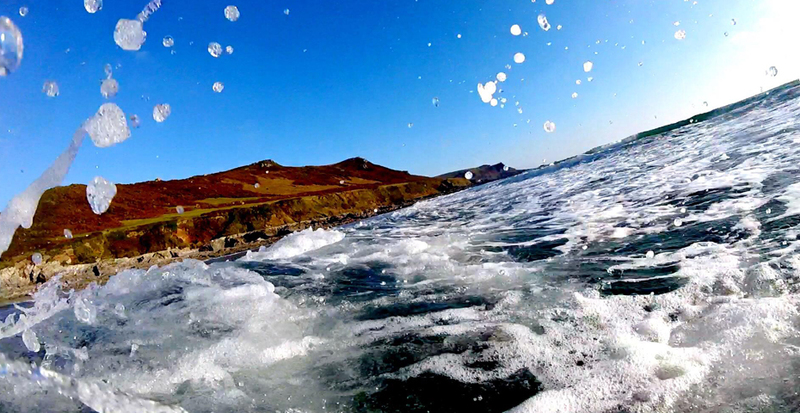 The Bantham Swoosh is a 6km swim in the Avon estuary that culminates in a “swoosh” as the ebbing tide in funnelled through a narrow section of the river, speeding swimmers over the riverbed at up to four times their usual swimming speed! The estuary is shallow and sandy bottomed, so participants enjoy a clear view of the sandy bed most of the way. Described by many as being an ‘exciting, beautiful and fun’ swim, this is a firm favourite in South Devon’s swimming calendar. Known as the swimmers alternative to the London Marathon, the Dart 10k was the first, and is arguably the finest, 10k swim on the open water calendar. 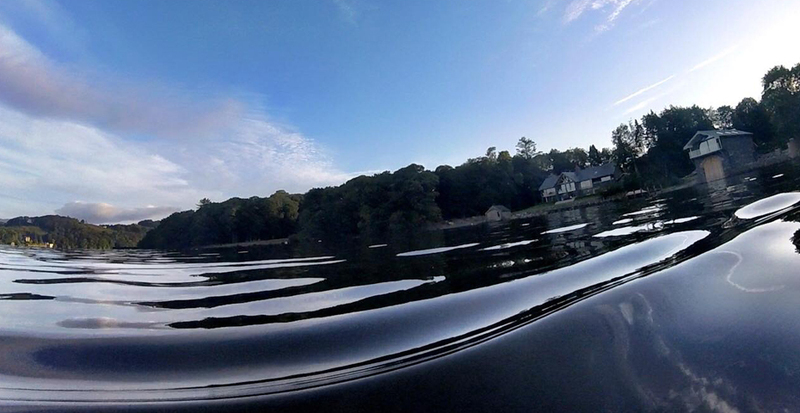 The swim itself is a unique journey punctuated by landmarks such as the Cormorant Tree, the white rock, Sharpham boathouse and Bow Creek. Regardless of the enormous distance undertaking this race involves, the Dart 10km prides itself on being a journey, not a race, and there’s room in the river for everyone… fast swimmers, skin swimmers, disabled swimmers and newbies alike. Wherever you choose to stay in the beautiful South Hams you will always be within easy reach of some fantastic wild swimming locations. 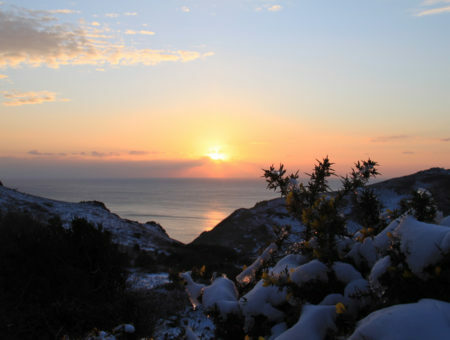 Browse our holiday homes in Salcombe, Dartmouth and throughout South Devon today.